Welcome back to another weekly meal plan post. This is the weekly post where I share my intentions for feeding my family of 4 for the week. We are about as real as it gets, so I stick to real foods as much as possible, but I am by no means a chef or even really a cook. I dabble and I can follow a recipe. So if you are looking for fancy, gourmet stuff, you're probably going to want to move on, but if you want real food for real families, you've come to the right place. This is our last week of school (if you count three half-days as actual days). It's also 8th Grade Graduation for our oldest. So, our week is filled with activities and embracing the break that is summer vacation! So this is not a typical menu week for us, but we all have weeks like that right? This post is linked up at I'm an Organizing Junkie for Menu Plan Monday. 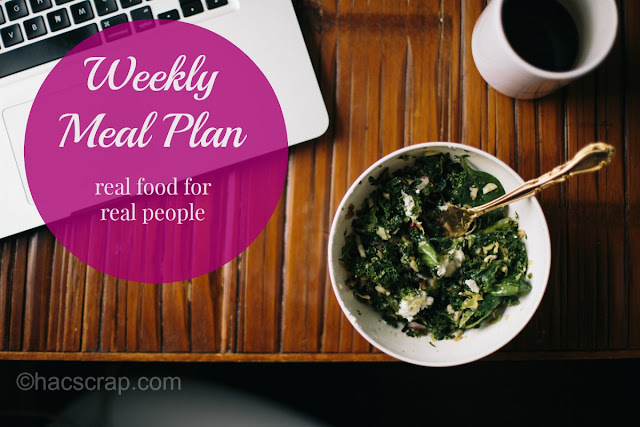 Be sure to check it out for more meal planning ideas and inspiration. Love the YOYO! We call that 'fend for yourself', but YOYO sounds so much better.